Wow! April was a long month... wasn't it? So much happened that it feels as if the month lasted forever! I began the month going through a 'reading funk,' but somewhere along the line the gods took pity on me and I was able to concentrate on reading again. Of course finding books that caught and held my attention from beginning to end helped too! My favorite book in April was Death by Silver by Melissa Scott & Amy Griswold. I read the book and loved it so much that I wrote my review immediately and had to post it early. I don't usually do that! 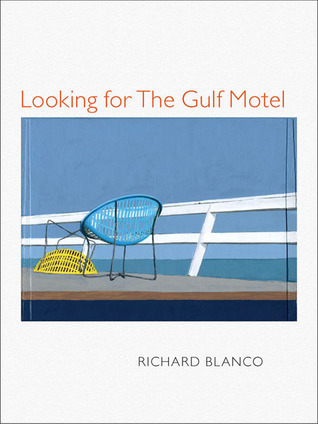 The other book that really touched me was the small poetry volume by Richard Blanco, Looking for The Gulf Motel. I know that many readers don't go for poetry, but I can't see too many not enjoying Blanco's narrative, biographical style. Tales from the Sexual Underground by Rick R. Reed was a particularly memorable book. I read it while commuting back and forth from work and some stories were a hoot! "Sick Day" anyone? Reed combines non-fiction essays with some of his fiction stories. Both essays and fictional pieces explore extreme sexual subjects which Reed manages to imbue with raw humanity, dark humor, and straight forward candor. 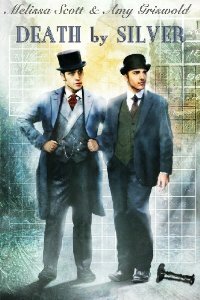 Excellent full-length review at Indie Reviews! Of my C & D reads the most memorable are Whiskey Beach by Nora Roberts because Roberts is a favorite writer whose latest release turned out to be an average read for me, and The Best Man by Kristan Higgins because, don't we always remember books that end up as major fails? I do. That is it for my April recap. I look forward to May and more great reads! Great recap, Hils. I had a productive reading month too.. sadly only blogged six times in April! Oops. No wonder I feel so out of touch with everyone. Because I HAVE BEEN. Disappointed to hear about Whiskey Beach. How sweet to see Kleypas' Dreaming of You an A- reread! Christine, the great thing is that you had a productive month! You can always blog about it in Apri, lol! But yes, we missed you! I'm curious to hear what you thought of THE FAVOR. I love Hart's writing.